BERLIN (Reuters) — When refugees started arriving in Germany in large numbers last summer, many politicians and economists feted them as a solution to a skilled labour shortage, but a survey published on Tuesday shows that only around one in eight have found jobs so far. It shows that of the refugees who arrived last year and in January 2016, 13 per cent are in work. Many newcomers are still in the process of getting asylum applications assessed and so have limited access to the labour market, it found. Herbert Bruecker of the IAB Institute for Employment Research said experience showed around 50 per cent of migrants tended to have found employment after living in Germany for five years, at least 60 per cent were in work after 10 years and 70 per cent after 15 years. He said that would probably prove true of recent immigrants, especially as they were being offered more language courses and help from job centres and German people than in the past. Among those who are not in work and arrived in Germany since January 2013, more than three-quarters said they "certainly" wanted a job and 15 per cent said they "probably" wanted one. 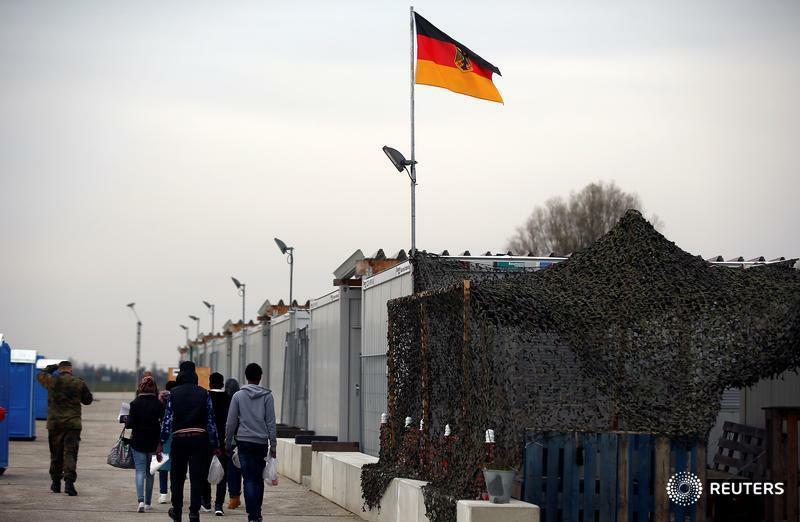 Of adult refugees, 58 per cent had spent 10 years or more at school, in vocational training and at university before arriving in Germany, the survey found, compared with 88 per cent of Germans. Just under a third had attended university or a vocational school, while one in 10 went only to primary school and nine per cent never went to school. Almost three-quarters of refugees aged 18 to 65 said they had gained work experience before arriving in Germany, with 13 per cent having been employees in managerial positions. Around 90 per cent of refugees could not speak German when they arrived, a major stumbling block for many employers. The survey found many of the new arrivals shared Germany's values — 96 per cent agreed there should be a democratic system and 92 per cent said equal rights for men and women were part of democracy.